What better summer meal to feature than a vegan taco salad? 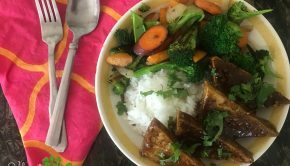 This fun and flavorful meal can be as simple or as fancy as you’d like, and it’s super healthy too! 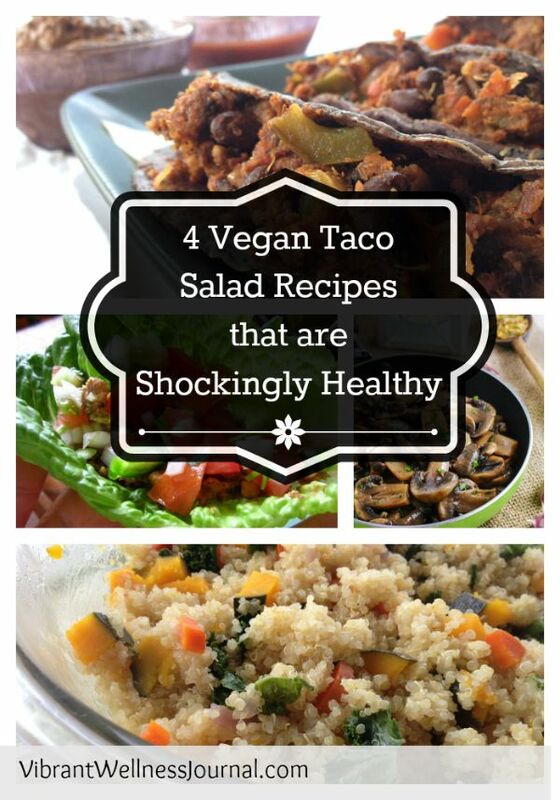 Here we have 4 vegan taco salad recipes to share with you so you can enjoy this fun meal for as long as summer lasts. We’re going to cover four awesome filling recipes and share some of our favorite sassy sauces to make it even better. 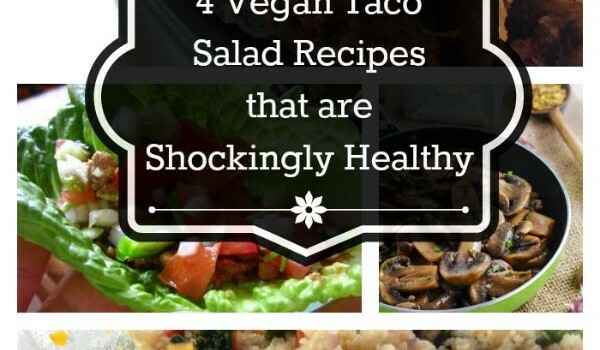 As you might imagine, most taco salad recipes feature a host of unhealthy ingredients: a fried shell, filled with seasoned meat of some sort, then topped with cheese, sour cream and maybe some lettuce and guacamole as greenery. Overall, a meal built to make us fat, sick, and nearly dead: high in fat, cholesterol and, depending on where it’s made, probably filled with preservatives, GMOs and a host of other gross additives. But these recipes change all of that: we have four recipes for a healthy taco salad filling, all featuring healthy protein-rich bases ranging from beans, walnuts, mushrooms and quinoa. Served with our taco salad directions and homemade taco sauces below, you have a choose-your-own-adventure wholesome and yet totally craveable meal. Try out all the different combinations to find which ones you love the most. My favorite recipe for taco salad or tacos is this simple mixture of textured soy protein and pinto beans. I think the combination of the two is really the magic here. 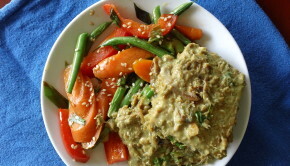 Textured soy protein (TSP, also known as TVP) is a soy product made from defatted soy. Once the oil has been squeezed out, theses little protein nuggets make for an excellent meat replacement in stuff like pasta sauce, veggie burgers and now, the best vegan taco filling. We recommend seeking out the Bob’s Red Mill Textured soy protein (TSP), instead of TVP. TVP is trademarked by a huge agricultural conglomerate, and we’re dubious of the origins of said soy product. Also, soy protein like this is a great treat, but since it’s not a whole food product, we recommend eating it in moderation. 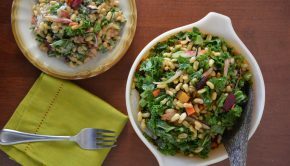 If you want to take your taco salad in another direction, here is a recipe for one of the best ways to incorporate raw food into your life. My coworker at my previous job makes an amazing Raw Vegan Taco that she serves with fresh salsa in lettuce cups. 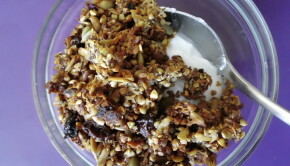 It’s so good you’ll want to eat the whole bowl! Here’s a cute little video to show you how it’s done; you can find her recipe for Raw Vegan Tacos here. Who needs beans? Quinoa is loaded with all the plant-based protein you need, and has a great texture that lends itself well to tacos, whether in a salad, a bowl or in a tortilla wrap. I’ve chosen just a bit of chili powder and cumin to flavor this one, but you can swap them out for chipotle powder, coriander, oregano and other seasonings to make it extra taco-licious! 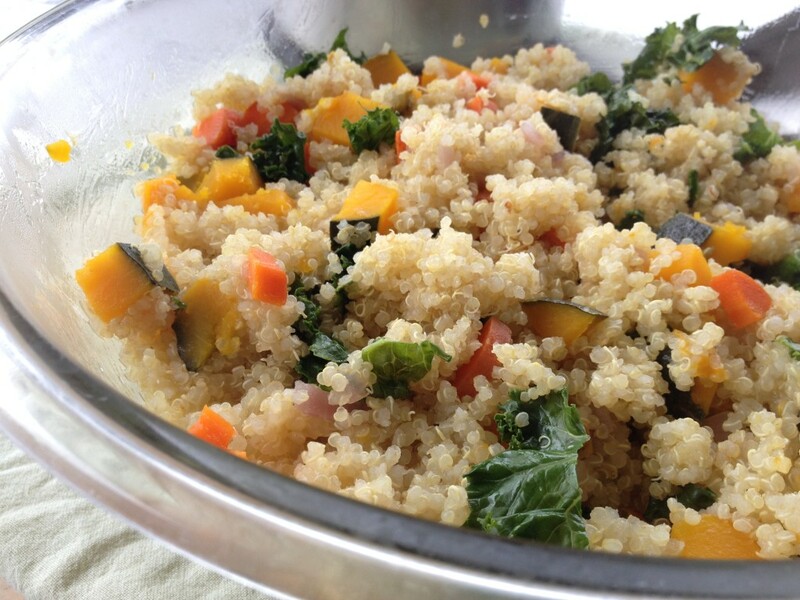 Find the recipe for the quinoa pilaf here and add whatever spices you love to give it some zing! spiced quinoa pilaf for tacos! 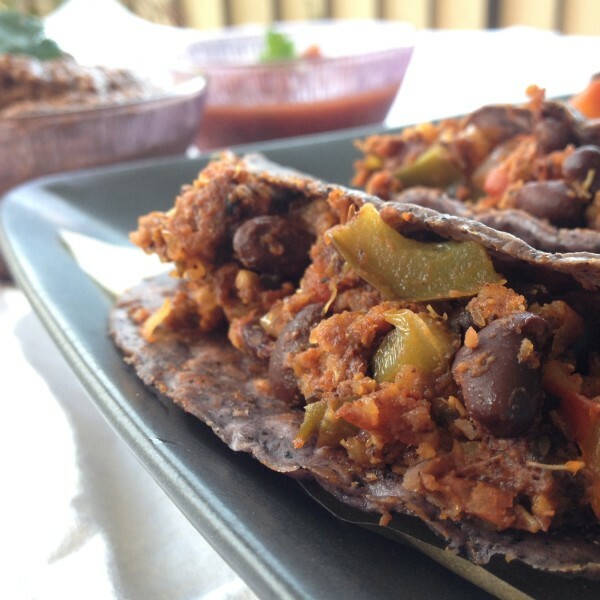 This recipe comes from Rachel at Eat Drink Better and features so many great flavors that are just perfect for taco filling. Roasting mushrooms brings out some great umami flavors, and the chilies bring a bit of heat. Mushrooms have a cool texture that’s often used in meat-based dishes, but the texture is not for everyone. If you don’t love mushrooms enough to make them into their own filling, try adding a bit of cooked quinoa or crumbled tofu to the mixture to give it a little more body. 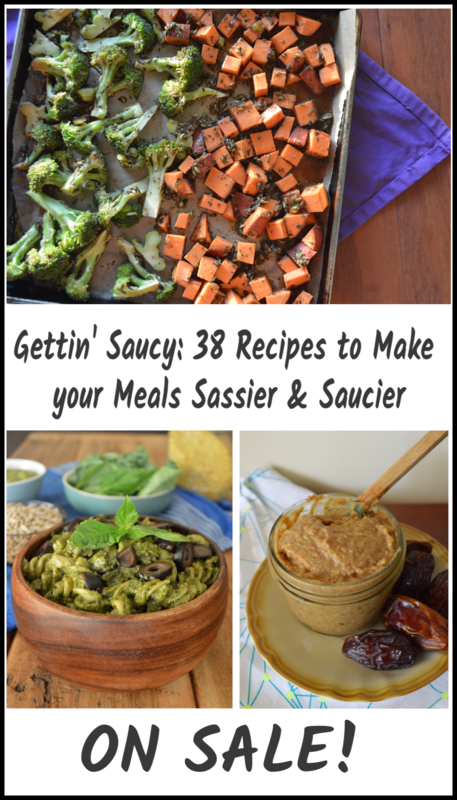 Sassy Sauces for your Taco Salad! Here are some notes about building your super healthy taco salad: you can purchase taco salad shells at your grocery store, though I’m not sure if any of the better-for-you brands are making taco salad shells yet. If not, no worries. There are more options: you can buy a taco shell maker, but if you don’t want to invest, here is a fun tutorial for making homemade taco shell bowls from Vegangela. Or you could skip the bowl entirely and just serve all this goodness on a bed of tortilla chips. I guess that turns it into nachos… but it’s going to be delicious either way! Make the shells using the tutorial above, or buy store bought. Choose your base: prep your Vegan Taco Filling, Raw Vegan Taco filling, Spiced Quinoa Pilaf or Roasted Mushroom Filling. Make sure you have enough to fill all your taco bowls. Choose a Sauce: keep it simple and use salsa, or choose one of the awesome sauces from above. Choose your Veggies: Find a sturdy lettuce like romaine, mixed greens or massaged kale, and fill the taco bowl, add other veggies. Think sliced red peppers, sun-dried tomatoes, cooked beans, sautéed onions, corn kernels, sliced olives, shredded carrots, and toss to combine. Top with your filling of choice, and drizzle with your sauce. 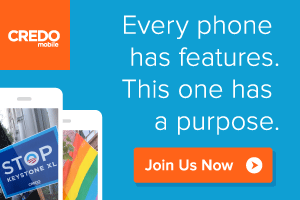 Take photos for Instagram, then toss it all together and enjoy! Once you become an expert Taco Salad chef, invite your friends and have a taco salad party!